I've never ever been a perfume person. Strong scents give me a headache, and the number of options that don't are dizzying. 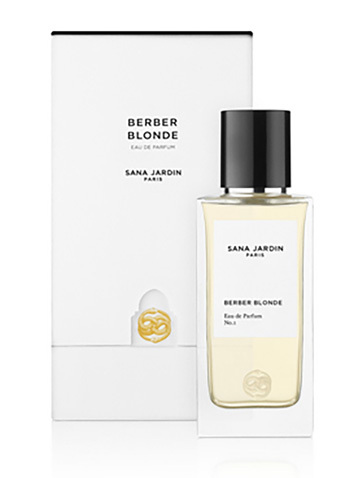 But then I discovered Berber Blonde by Sana Jardin. At a dinner party the other night, while I was swilling a good glass of champagne, an intoxicating aroma of orange blossom suddenly filled the air--the fresh, just-like-nature kind that breezes into my bedroom on spring nights. We all wanted to know: where was this glorious scent coming from? That's when Amy Christiansen Si-Ahmed, an American living in London, introduced herself and announced that not only was she wearing this fragrance but that she created it! I demanded to be doused in her perfume right away, and because she generously gave me samples, I've been applying this fragrance multiple times a day ever since. I'm not the only one obsessed: when it launched at Harrod's recently, it became the best seller within the first week. Purists will appreciate that it's free of artificial colorants, parabens and formaldehydes, and the bottle is as pretty as can be. You can find it here. does this fragrance stay on and have good projection?